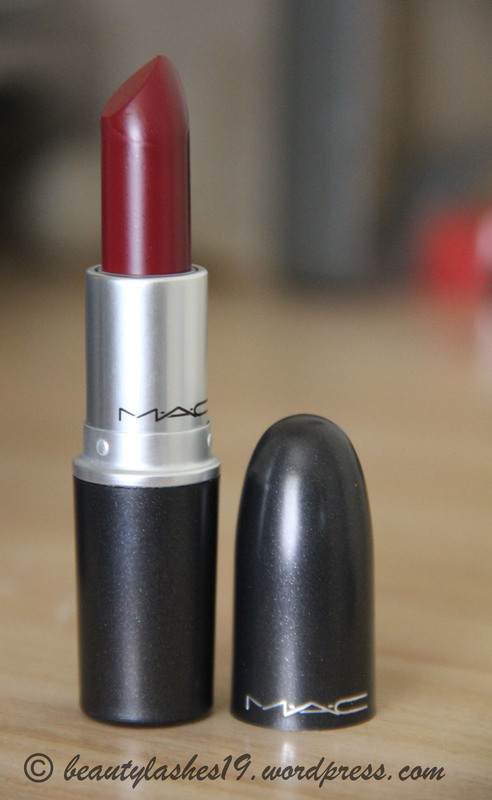 Here’s my review of the MAC lipstick ‘Diva’.. 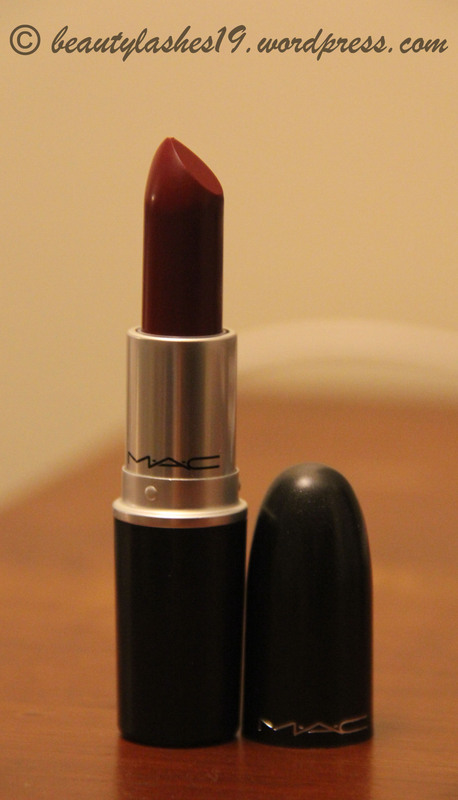 I think this is going to be one of lipsticks I’ll be drawn to this Fall.. Diva is a gorgeous deep red brown in a Matte finish.. MAC describes this shade as “Intense reddish-burgundy“.. The color intensity is great.. a single swipe is all you need to get a nice, rich color on your lips.. Diva is part of MAC’s permanent lipstick collection and costs $15 for 3g of product.. 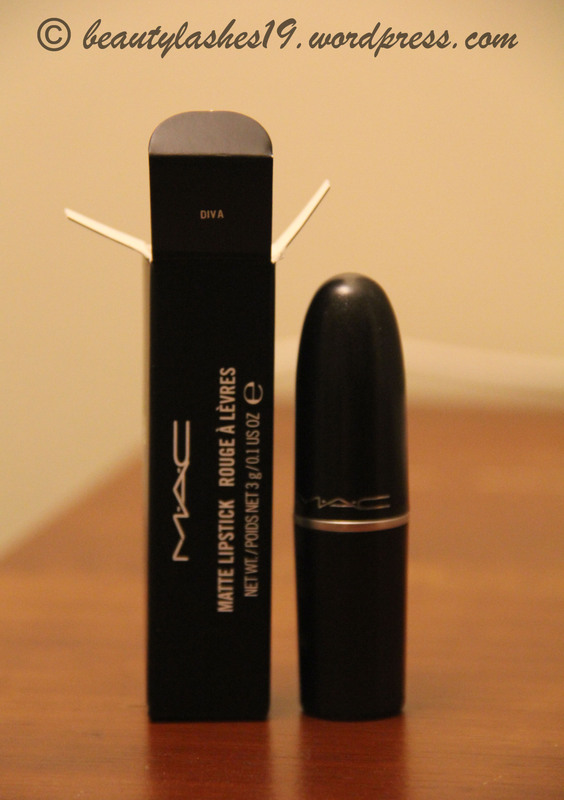 It comes in typical MAC black and silver packaging.. It goes on smooth and looks lovely, especially on pigmented lips.. and since it is a matte finish (although a bit creamier than most mattes), it has a good wear time.. Also, it leaves behind a stain which is great as the day goes on.. 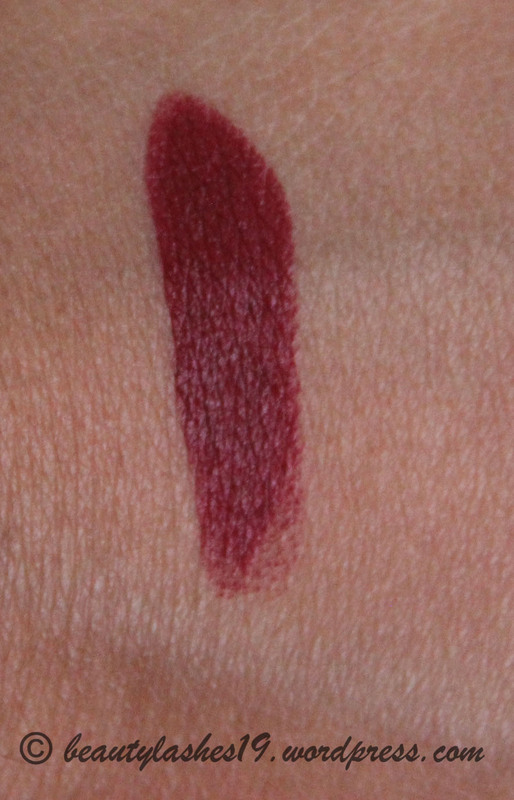 So, you do need to be careful during application and stay within the natural lip lines..
Swatch : ‘Diva’ in indoor lighting.. looks more red than burgundy..
Ben Nye Banana powder – Review!